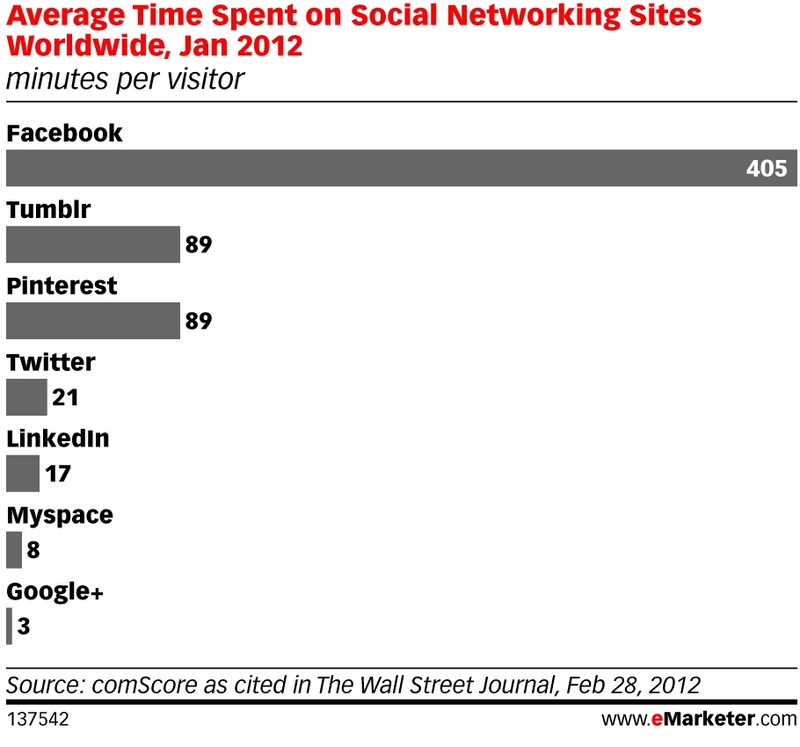 Time spent on Facebook leads the pack but I wonder how this will look at the end of the year. 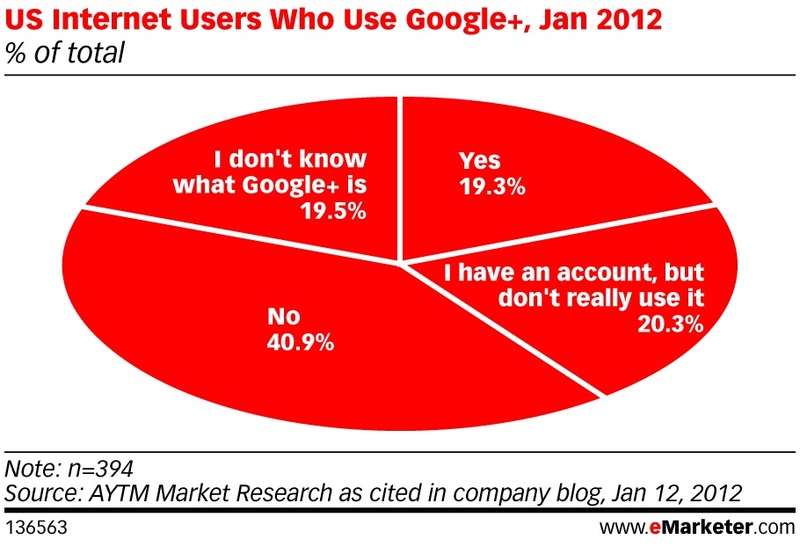 Will Google+ climb up the ranks? I wrote a post back in September 2011 about the debut of Google+ but now almost six months later it seems that Google+ is not gaining the usage of Google. 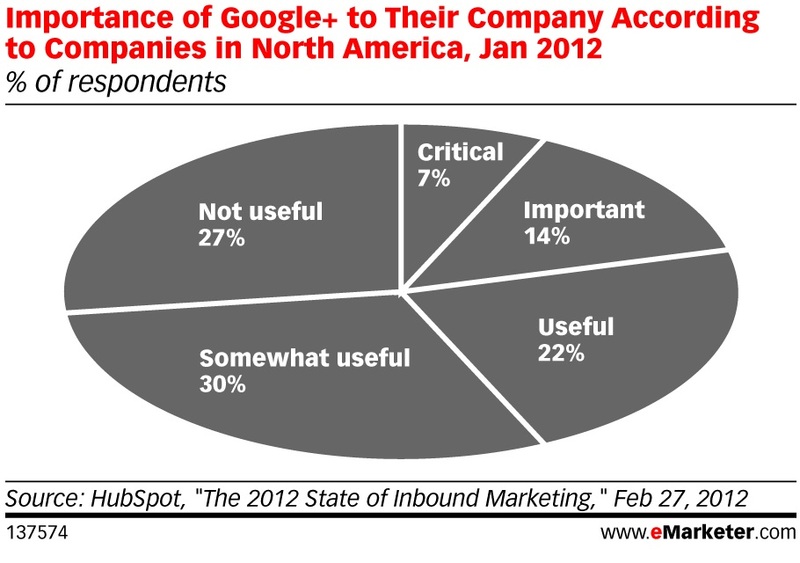 The graphic below also reveals that companies are not using Google+ as much as they could for their benefit.